If you want rowdy – this place has it in spades. There’s no bigger and better place to send-off the stag (in fancy dress), than the Bigg Market. 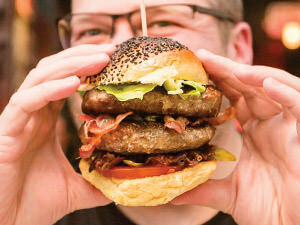 Bars - The Bigg Market's bars are renowned for the lively, rowdy and unforgettable weekends. 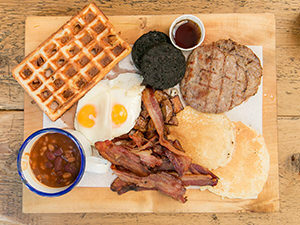 Restaurants - There are several cool restaurants, including The Gentleman and even a 24 hour Greggs. 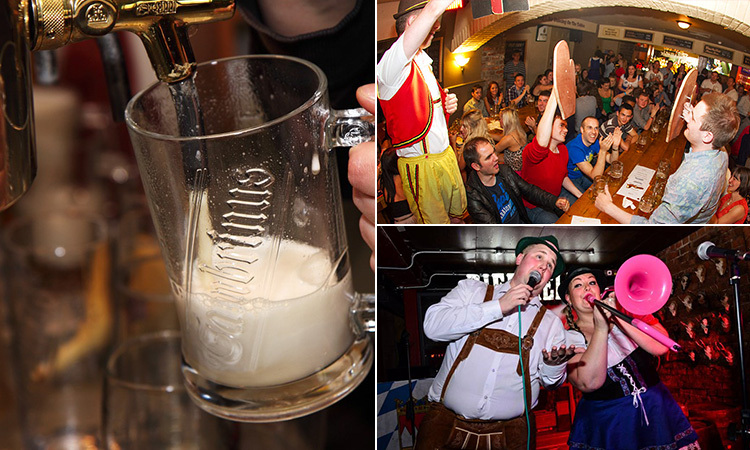 Music - Oompah bands take to the stage at Bierkeller and impressive singers perform at Filthy's. Shopping - The most shopping you'll do here will be booze and a Greggs sausage roll at 3am. Art - Stand outisde one of Newcastle's loudest bars at 4am and take in the 'art' of the street. 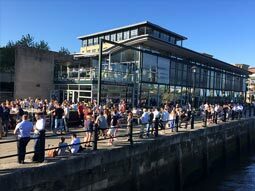 Formerly the spot of Newcastle Zoo, not much has changed in the Bigg Market… Herds of party animals flock to the site to eat, drink and, quite possibly, find a mate. Anything goes at the Bigg Market. We’re talking dancing and singing on the tables, swigging from steins, performing on stage to a huge crowd and getting a burger from the van – slap-bang in the middle of the street. The central nightlife district is so busy each weekend, the crowd of Newcastle natives, tourists, students and everyone else, spills into the nearby zones. But, once you are in the Bigg Market – you’re in there for the duration, pet, as the lights do not come back on ‘til the next morning. Whey aye. You’ll not get much louder, or more German, than the Bier Keller. This chain is sweeping the nation, serving massive steins of beers to stag groups in lederhosen. With those biers in mind – you’ve got nine on draught to sample, as well as pretzels and frankfurters to soak up that Bavarian booze. This underground bar also has frauleins in bier maid outfits and a live Oompah band that gets everyone bonding – ready to end the night thigh slapping or stomping, on the benches and tables. Filthy’s, directly opposite, is the archetypal bar of the Bigg Market. 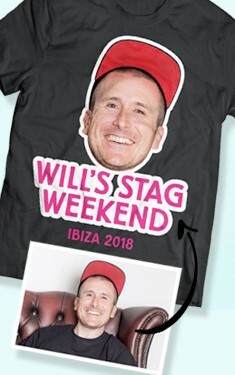 The Irish-inspired venue is built for stags, with actual stag heads on the wall, fake grass in the smoking area, quirky couches to fall into and live bands and singers on stage every weekend. Basically, it gets louder the later it gets, with pints flying about regularly… it’s our favourite bar – and you’ve got ‘til 3am to enjoy it, ya filthy animals. 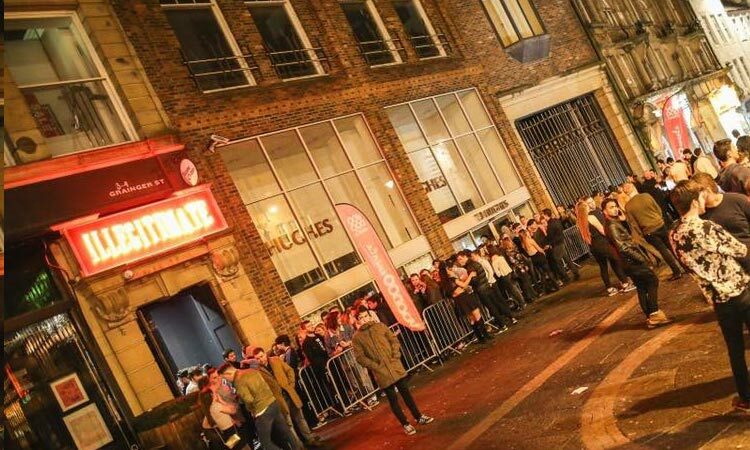 Idols/Vaults is directly above Bier Keller, boasting a 1,200 capacity and some of Newcastle’s best DJs. It’s been around this city for yonks, explaining the double-barrelled name. 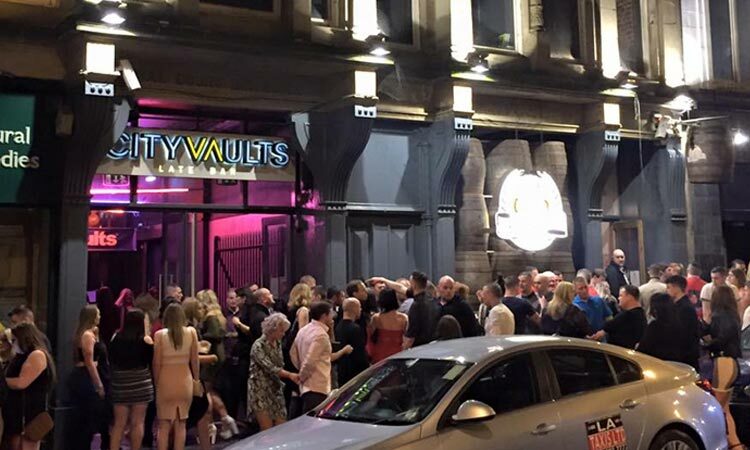 Formerly known as Idols, the past generation can’t bear to call it by any other title, but it has undergone renovation as Newcastle’s new and improved, City Vaults. This place never sleeps, with hundreds passing through its multi-room doors. The dance floor is big, the bars even bigger and the drinks offers are so much better than you can imagine. We’ll see you there. The Bigg Market is part of Newcastle’s legendary foundations – and Illegitimate is dedicated to preserving that grand history. 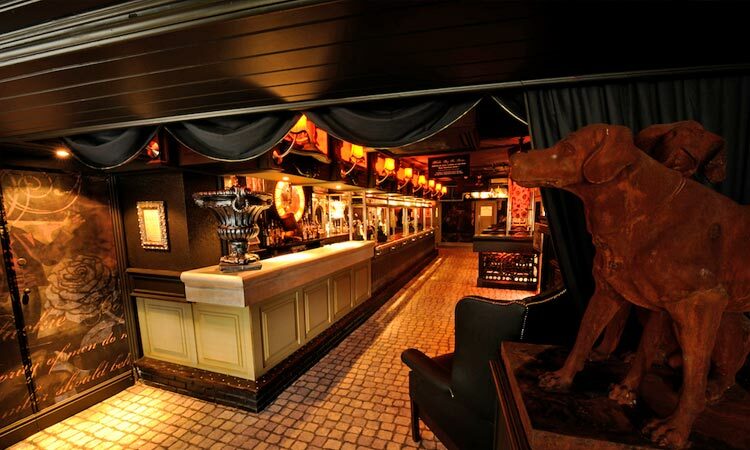 So named after the pack of cigarettes born and bred in the city, this bar is a swanky pit-stop on the ‘strip’. It’s part of the (massive) Filthy’s and Passing Clouds family, and is, basically, Newcastle’s version of a P. Diddy video. It’s got gold leather, gold beds and plush velvet booths to soak up that R&B vibe, until no less than 3am. Pop World is as cheesy as they come. Dedicated to the heydays of the 70s, 80s, 90s and 00s – it has a bigg reputation. The club is huge, with a massive dance floor and platforms to showcase those moves. It’s open ‘til late, 2am on a weekend, and it’s likely you’ll bump into one or ten hen groups in a matter of minutes. Enough said. All of this Dutch courage will come in handy for Cosy Joes – you’ll know it well after this weekend. 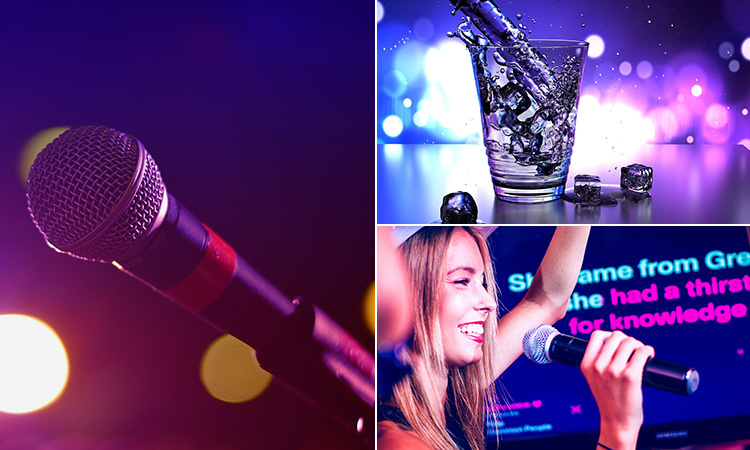 Newcastle’s ultimate karaoke bar is set in an old pub, over two floors, and attracts locals in their droves. It has separate karaoke rooms if you want to belt out the ballads in private, but for the rest of the mere mortals – you’ve got the upstairs or downstairs stage. 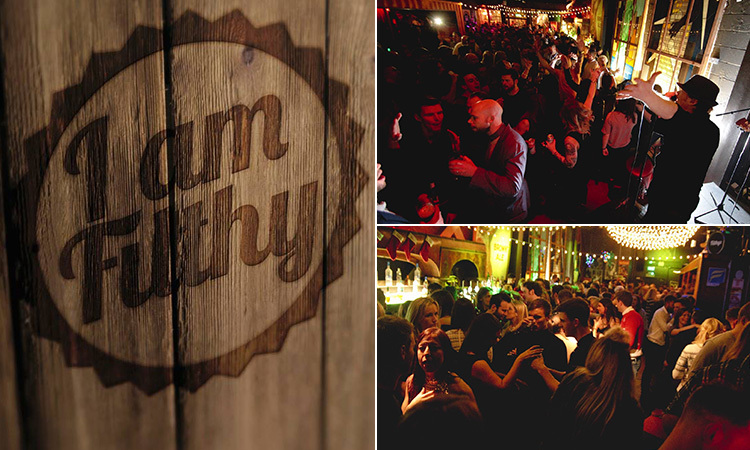 It actively encourages fancy dress, welcomes mega groups and serves the likes of the lethal Cosy Joe Rum and The Glitterbomb. 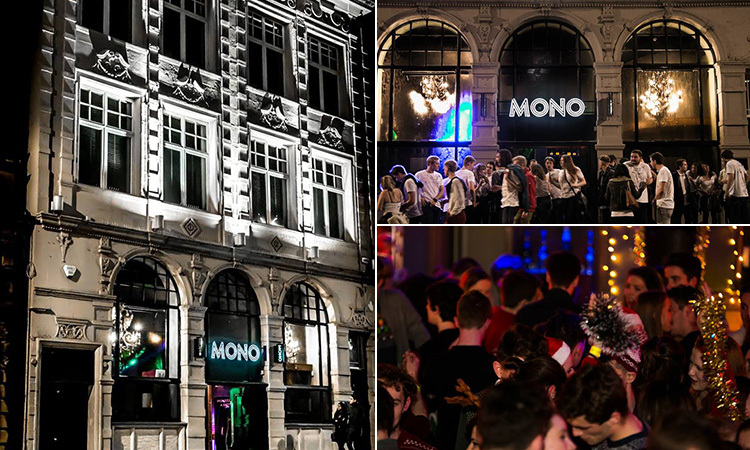 Mono is one of those bars that attracts crowds from the Diamond Strip, as well as the Bigg Market. 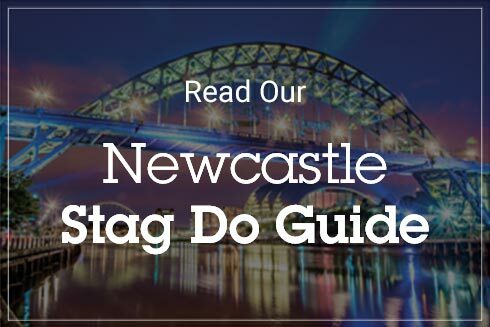 It’s synonymous with Geordie Shore, as well as massive stag groups – it’ll welcome you lot with open arms. 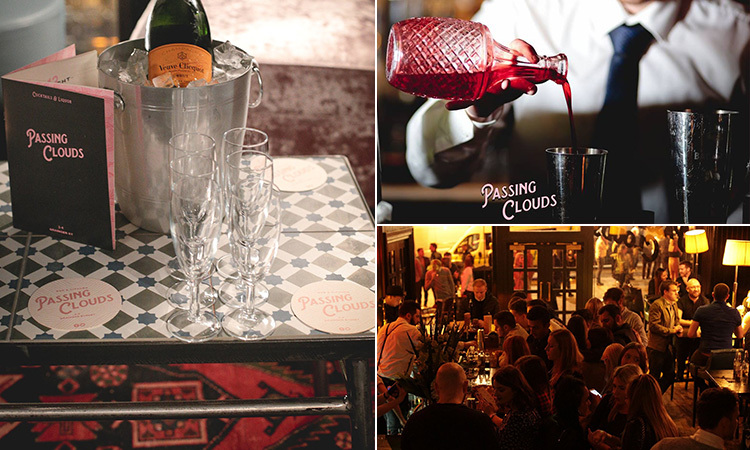 There are two levels to the bar; the upstairs with palm trees and Champagne displayed in glass cabinets, However, the basement is an altogether different story. 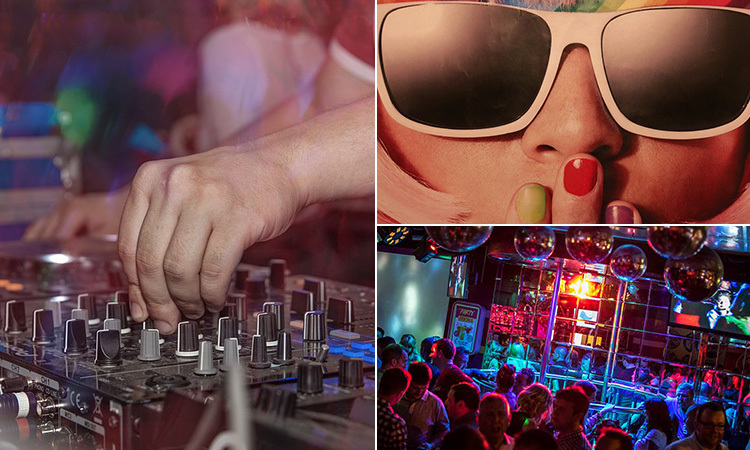 It’s bouncing, hot, heavy and plays R&B and the like every weekend. Blackie Boy, originally opened in 1894, has stood the test of time in Newcastle. It might have had a few licks of paint in between, but it’s still got that same cosy atmosphere – turning crazy on the weekend. 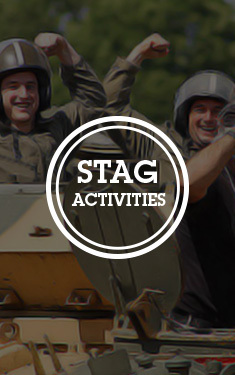 It caters for huge stag groups, and is one of those venues you can even take your Father-in-Law. 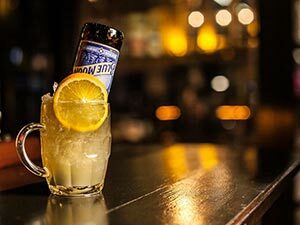 The old-school pub serves ale by the bucket (barrel…), and there’s even a secret bar, All Seeing Eye, tucked away – offering a whole load of fancy drinks for those fancier stags. 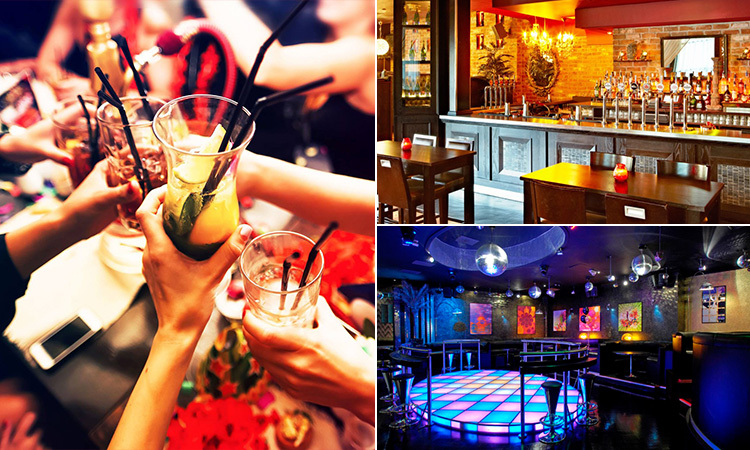 The Bigg Market's long 'strip' is bursting with bars, but you've got cash machines leading your way to the next venue. There’s one just opposite the aforementioned Filthy’s, but it does charge you. However, there’s a free one just down the street. Grey Street, just up the road, also boasts a massive HSBC, lined with cash machines (and the iconic Monument to guide you). The Bigg Market is right in the centre of the city. 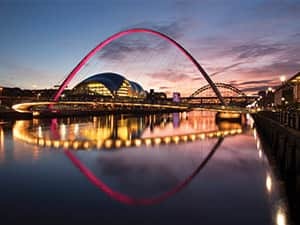 In simple terms, the Diamond Strip is a three minute walk, Grey/Dean Street another three minute stumble and the Quayside around 15 minutes away. However, you have got taxi ranks dotted all over the street, in front of Filthy’s and The Gate. Diamond Strip, just around the corner, even has its own cab rank - you're proper spoilt. Bigg Market is also the undisputed King of Takeaways. You’ve got pizza shops (home to the Parmo...) circling the taxi ranks, as well as burger vans at the top - just outside of The Gate - and another outside the ever-popular Filthy's. You are well catered for here. 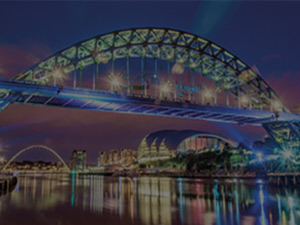 The Bigg Market is Newcastle personified, and will provide you with an unforgettable (we hope you'll remember...) night. 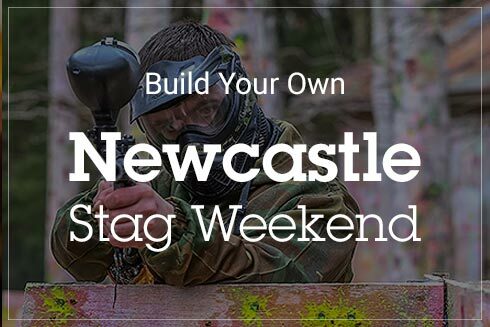 To sort out your stag do in The Toon, you can build your own send-off on our Newcastle stag weekends page. *We know all there is to know about the Bigg Market, and all info on the zone was correct at the time of publication - 06/06/2017. Probably.